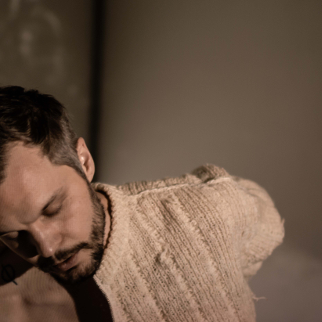 On April 19th, 2019, The Tallest Man On Earth will release his first album in 4 years. I Love You. It’s A Fever Dream. was written, produced and engineered by Kristian Matsson and was recorded almost entirely in his apartment in Brooklyn, NY. When asked for some insight into the album, Matsson says “Here’s what I can tell you: Of course there are some love songs and then there are some other songs. Making the album I was thinking a lot about the lenses we view our lives through and that, for some reason, our worst tendencies seem to be carried out so loudly, while our best can go unnoticed. I’ve come to realize that some of the most powerful, most inspiring moments in my life have been the most subtle and that so often the thing that deserves my attention, is trying the least to get it.” In recent years Matsson has undertaken single oriented projects that incorporate writing, producing and self releasing songs and videos in regular intervals, often with purposefully intense deadlines. He’s described finding inspiration in the entire process, and in particular in the satisfaction of making something and having it out quickly. For listeners and viewers the fascination has been in watching an artist work through his life, in problems and celebrations large and small, putting his thoughts out into the world while he’s still processing them himself and watching them evolve over time.